Acupressure is the very ancient process of using hand and finger pressure on certain points on the body to control the flow of vital energy, or chi. According to Traditional Chinese Medicine (TCM), chi is travelling through the body at all times. The use of acupressure is believed to alleviate pain, tension, and other symptoms of discomfort in the human body, as well as aiding in preventing harmful diseases and toxins from spreading in the body. Records dating back some 2,000 years relate acupressure originating in China as a therapeutic practice. However, stories handed down by word of mouth suggest this practice may date back as far as 5,000 years ago. Many believe acupressure was simply derived from the act of individuals rubbing or kneading places on the body which were sore or painful. With observation and experimentation at its core, the earliest healers began to understand that certain areas of the body were capable of assisting in the recovery from various illnesses and to promote good health. Over the years healers began to identify acupoints on the body upon which stimulation became known to produce the best results. Such stimulation was found to cure numbness, chills and stiffness. Acupressure is still commonly practiced in Asia and its use is becoming widespread throughout the world. This practice was developed in order for individual's to have a single means for supporting and addressing every part of the person. PA is based in a belief that touch can release tension stored in the body, freeing the person to develop more clarity, strength and balance. The founder of PA, Dr. Aminah Raheem, was searching for a way to support wellness as well as growth in the soul, emotions, body and mind simultaneously. While PA had its debut in Switzerland in 1986, its influence has spread. Today's PA practitioner attempts to elicit personal history from the patient during bodywork, in the hopes that knowing how the person feels will allow him or her to reach a resolution regarding their feelings. PA is often recommended for those experiencing stress-related conditions, including post-traumatic stress. PA is also thought of as a means for empowering development in a well person who wishes to advance their full potential. A similar method was developed in Japan called Shiatsu, meaning "finger pressure." This is a more vigorous form of acupressure using firm and rhythmic pressure on acupoints all over the body that are held for anywhere from three to 10 seconds. While it is not uncommon for patients to receive one or two treatments and experience beneficial results, many people choose to undergo several treatments to experience maximum benefits. The Chinese holistic system is based on the idea that when the internal organs of the body and its energy system are functioning "normally," the individual will be graced with good health. However, if the organs or the energy flow are out of balance or otherwise negatively impacted, ill health will occur. Due to this belief, the site of tension, congestion or imbalance is located and the obstruction is released, allowing the body to return to its own internal regulation process and thereby good health. An acupressure therapist will strive to have open communication with a patient in the first few meetings to determine the individual's total body symptoms and to establish a history of the childhood and the family. Any genetic or environmental reasons for ill health are typically uncovered in this stage of treatment. When visiting a professional to receive acupressure treatments, wear loose-fitting clothing. Patients sit or lie on a raised surface or a mat while receiving the treatment. No needles are used on acupoints, only pressure from the knees, thumbs, fingers and feet. 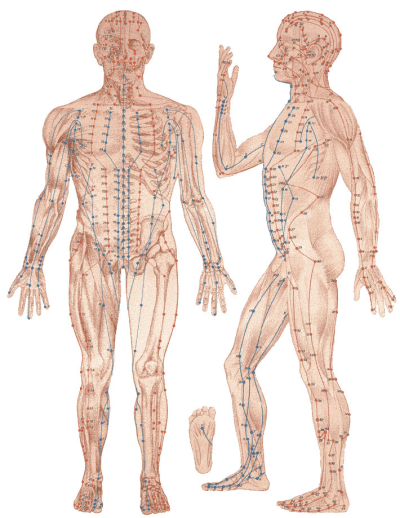 Approximately 361 acupoints were located on the human body in ancient times of acupressure use. Additional acupoints have been added to that number so the total now stands at around 2,000. This type of therapy is particularly helpful to those who suffer from arthritis, severe back pain, rheumatism or chronic muscle aches. Acupressure can also be used to relieve the pain of severe headaches. This practice is also given credit for eliminating harmful toxins from the body and balancing the various systems. 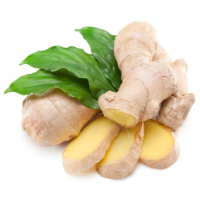 It is thought to prevent disease and illness by purifying and strengthening the body's resistance to invaders. Sinusitis - Use the thumb to press between the eyebrows for one to two minutes. Nausea - Again, use the thumb to press about 2 inches from the wrist on the underside of the arm for one or two minutes. Acupressure should not be used to treat infections, fever or serious illnesses. It should not be used as the sole treatment for people who have severe psychotic episodes or those who have a state of weakened ego. Seek help from a qualified medical professional for such conditions as those mentioned above.